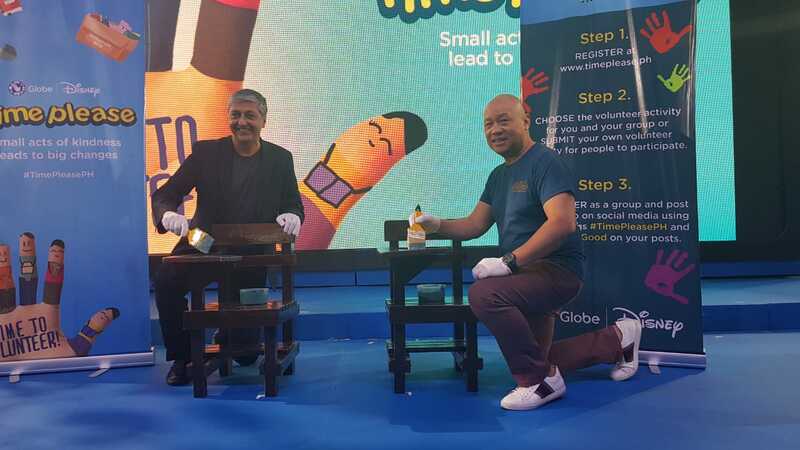 Leading telecommunications firm Globe Telecom and The Walt Disney Company, Philippines, announced a major collaboration to promote volunteerism among Filipinos. The two companies partnered to launch “Time Please,” a nationwide volunteering program that encourages and empowers Filipinos including companies, organizations, employees, families, and friends to provide volunteer activities or participate in existing volunteer programs. Time Please supports the telco’s commitment to nine (9) of the United Nations Sustainable Development Goals (SDGs) and appeals to the Filipino strong culture of volunteerism rooted in the bayanihan spirit to collectively contribute to social development. “We look at Time Please to extend Globe Telecom’s purpose-led culture to our customers. With the help of technology, we wish to make volunteering more accessible to many Filipinos, thereby, making it easier for our partners and customers to contribute to nation building,” said Ernest Cu, President and Chief Executive Officer of Globe Telecom. Globally, the Philippines ranked 7th for the highest number of people volunteering their time with 25 million Filipinos volunteering in 2016 (Charities Aid Foundation [CAF] World Giving Index 2017). Volunteer activities are mobilized by various sectors, such as non-government organizations (NGOs), government agencies, companies usually through their Corporate Social Responsibility (CSR) departments or corporate foundations, the academe via school activities such as Brigada Eskwela, and the private sector. Yoly C. Crisanto SVP, Corporate Communications Globe Telecom, Inc.